Inextinguishable for about 35 years, the Fanfare van de Eerste Liefdesnacht can still set the place on fire anywhere. 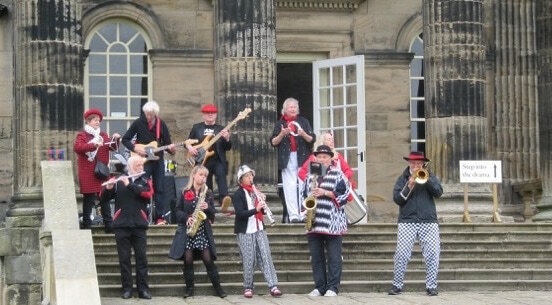 The band is a popular guest on theatre festivals, parties, fests and manifestations. With subtle and intense performances they show up on many different and international locations: from Brittany to Romania, from the United Kingdom to Cuba. On barges or in concert halls, street corners or sound-proof studios, carousels or swimming pools; the Fanfare will always merry-go-round to lighten up the party! 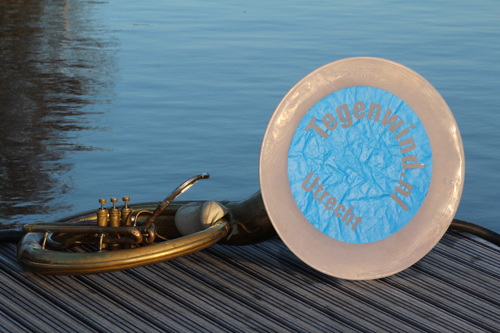 Our joined-connections of music and Amsterdam, our hometown city, facilitate regular musical encounters. For T&B Jubilee, they will also contribute with delicious catering actions for all participating orchestras. Black-white-red will colour the streets when this orchestra is in town. And of course, in combination with their ear-catching repertoire of world music. Their home base in NewCastle and Gateshead, on both sides of the river Tyne, is directly linked with IJmuiden through the daily ferry. Due to all their travels around the world and by hosting orchestras, they made a lot of musical friends. Also in Amsterdam. After T&B visited and enjoyed the Newcastle International Streetband Festival in 2003, it is about time to invite them back. In september the Tenth Avenue Band will be our guest at T&B Jubilee. Invisibility is the least of all qualities of La Fanfare Invisible – on the contrary! They show up on every occasion, starting in the streets of their home town Paris while celebrating a party or when it is required to stand up and demonstrate. With special attention for the support of the homeless. They strike against social injustice with ‘non-violent actions of musical attacks, treble clef terror and acoustic criminality’, according to their own composed manifest. Since the start, the orchestra has build up a tight international network of street orchestras. In 2016, Toeters & Bellen joined the famous manifestation of the 1st of may at the Place de l’Opera in Paris. 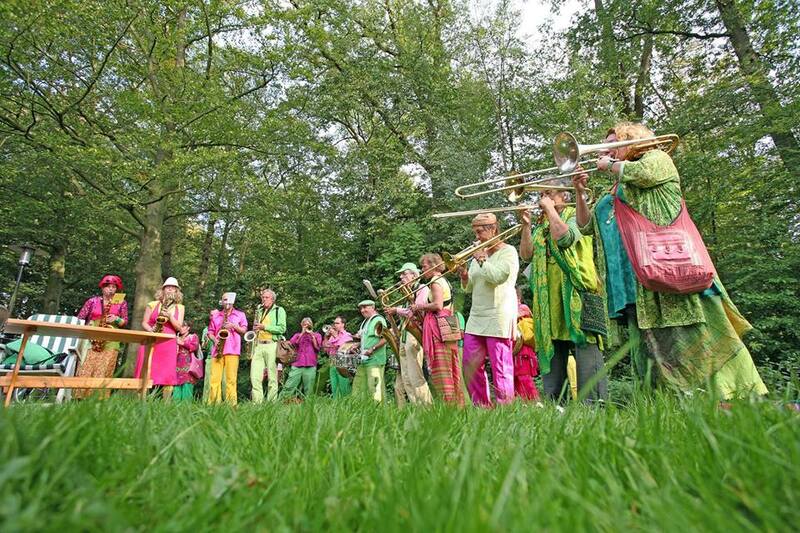 In September, you can hear, see and enjoy this ‘invisible’ brass band in Amsterdam. 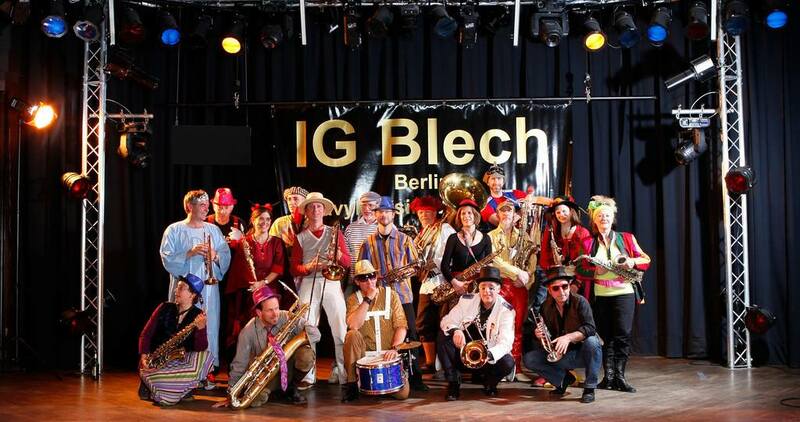 IG Blech from Berlin has a long history as a street orchestra, claiming they are present where the action is. For more than thirty years, brass instruments and percussion play at demonstrations, streetfests and in memorable places. Because of their special combinations of all music styles, it is hard to fix them to a specific label. Their so-called HeavyMessingWorldMusic is a mix of swinging Brazilian samba, stamping African grooves, sun cracking calypso, pumping funky beats, lively-melancholic klezmer, spirited Macedonic Čoček, uptempo Napolitan tarantellas and rebellious Algerian raï. In 2015, IG Blech hosted T&B in Berlin. In september they are present at our own party, T&B Jubilee. 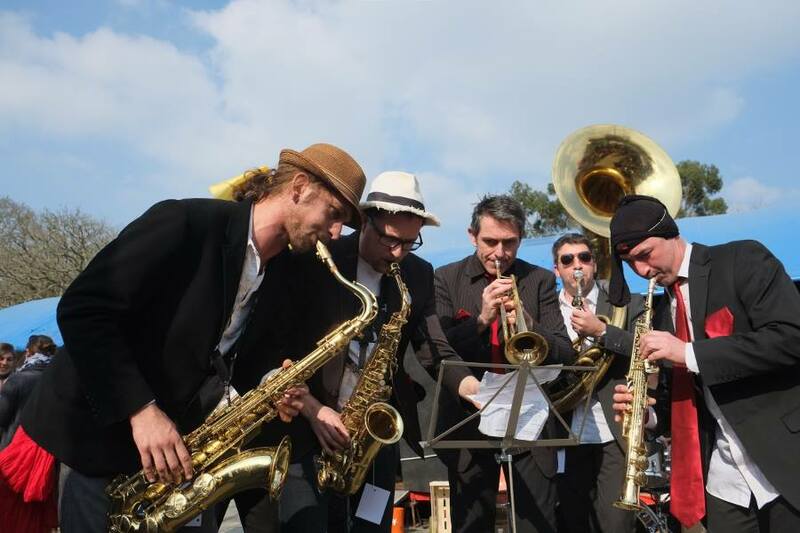 The octal street band Le Fat, from Brittany, France, plays great funky grooves. And what do we know about them? According to a legend, there was a man, with a tattoo of a black cat, who convinced groupies at the end of the world to adopt the groove. What was his secret? All they had to do was listening to surfrock. They graved their own instruments from the pyrogenic rocks and embraced the strange music from the sea, overwhelmed by the sound of jazz, rock and funk from the west. Inspired by these sounds, they created their own tunes. Curious? Listen and surf on Soundcloud and Youtube. And in september live in Amsterdam!